Spring and summer are my favorite seasons. My kids are grown, and I don’t have to deal with hectic school mornings anymore, but every year at this time I pause to mourn Fall casting its shadow on summertime. Surprise showers with tingly raindrops. Marking the street up with sidewalk chalk well past 9:00 and still daylight. When night fell, lightning bugs flitted around us, glowing with magic. Pam remembers this day of fun spent with our kids. “No school. Sleepovers. Tanning. Beaches. Water fights. Tank tops. Flip flops. Lemonade. Sunglasses. Taking Pictures. Late nights. Ice-cream. Warm air. Camps. Short shorts. Tan lines. Sand castles. Long hair. Mud fights. Bonfires. Slushies. Pool parties. Sun kissed hair. Palm trees. Barbecues. Check out this great YouTube video. It’s only 21 seconds long. Wowsers! Does this look like fun or what? Would you brave a ride on this? Do you have any favorite summer memories? What’s your favorite season and why? 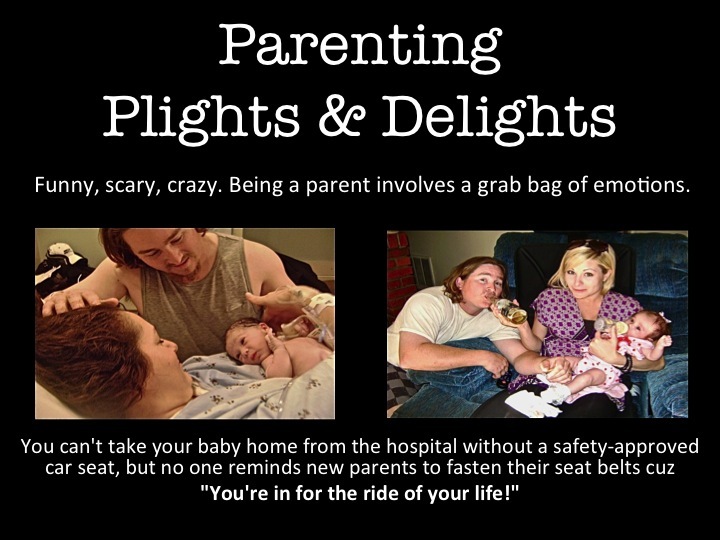 Parents, do you like to do things like this with your kids? This entry was posted in Uncategorized and tagged childhood, family fun, favorite memories, memories, motherhood, Parenting, slip'n'slide, summer ending, summer quotes, take time to play, Youtube video giant slip and slide. Bookmark the permalink. summer does seem to bring out the best in us and most of us have fond memeories of childhood summers, don't we? I love your pics. That slidy thing looks like great fun! My mother told story about a neighbor friend who commented, "Erva, every time I come over here, you're on the floor playing with your kids. "It's all about making those good-time memories. For me as a kid, summer was all about the beach, swimming and snorkeling. Of course I did other things, but the beach was pretty much the center of my universe. Heck yeah I'd try that slip 'n slide! I didn't have a big enough yard for one as a little kid, and when we moved somewhere we did… I don't know why we never got one. Fun times! 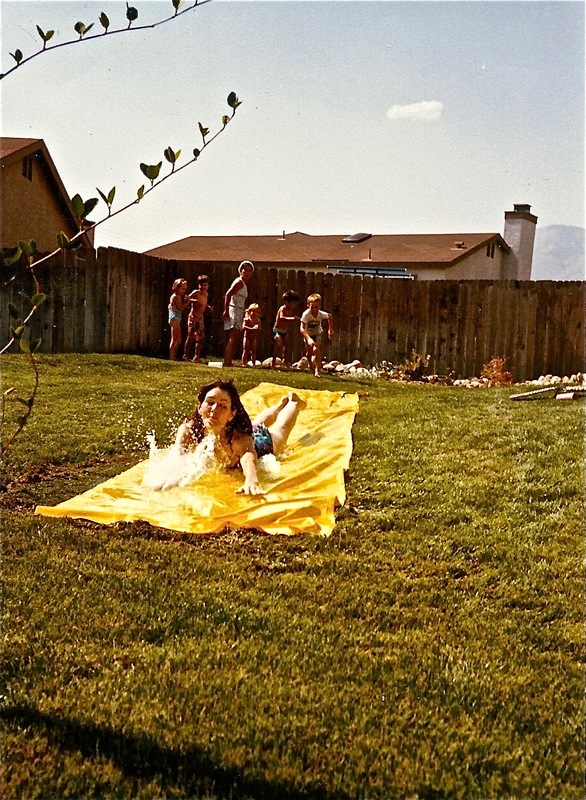 Slip and slides were so awesome–I remember as a kid trying to make one once with garbage bags! 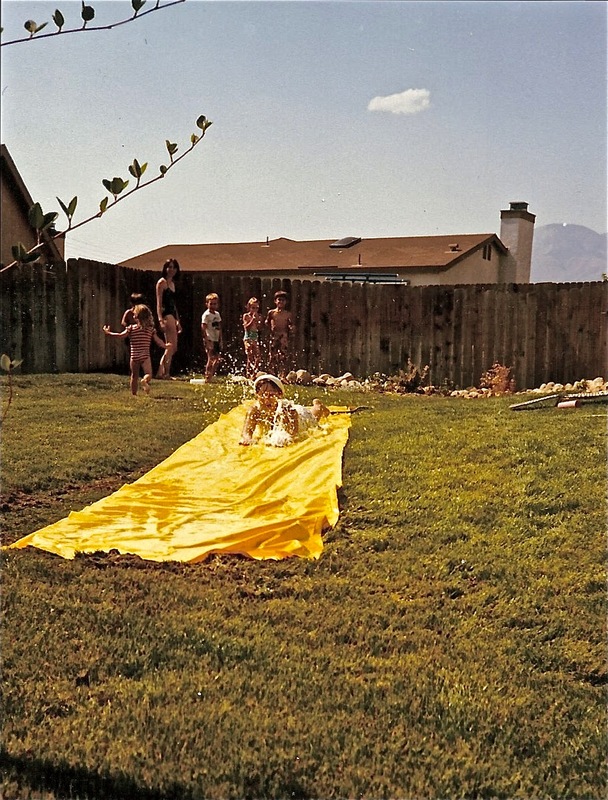 I especially love that last slip and slide photo (with the water splashing up)–it's the perfect summer visual to me. I just found ours while cleaning out the garage! Love it! What a fun memory. I would say that's what I miss now that the children have grown- all the silly stuff we did together. But I want them to take their time before they have kids of their own for gosh sakes! They are only 20 and 22…We'll have to use our slip and slide next summer! And we want pics of that, Susie. Fun pics Lynn and great message. How fun! Love the pictures. Now I know what you've been up to this summer, Lynn. 🙂 I hope all is well with you and yours! Sounds like awesome fun! Slip n SLide! How fantastic!